Red Dot - Cotton 60"
Announcement Liquidating a novelty children's bedding online store with some of our very favorite fabrics and trims still on hand. We still have some very cute, plush baby blankets that are cotton novelty prints lined with a coordinating flannel. Have a browse and I hope you find something you like. Please share your insights and tips. I'm always open to new ideas--even if they're just new to me. Liquidating a novelty children's bedding online store with some of our very favorite fabrics and trims still on hand. Elephants on Parade - Lime - 50"
Pink Kimono & Sandals Iron On! 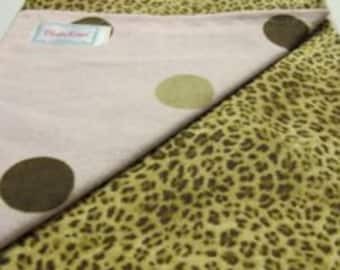 Flannel-Backed Baby Blankie – Buckaroo Buddies! Elephants on Parade White - Fabric 50"
Great fabric and a very generous extra long cut. Thank you, I appreciate it and will put it to good use. I am liquidating my supplies. I hope you see something you like. Cheers! All sales of cut fabric are final. Thanks for understanding. Choose wisely and let me know if you have any questions. PayPal or direct payment through Etsy. Shipping USPS Priority Mail. It will take about a week to get to you. I refund postage over charges.